Our aim was to examine the association of White’s classification with obstetric and perinatal risk factors and outcomes in type 1 diabetic patients. Obstetric records of a population-based cohort of 1,094 consecutive type 1 diabetic patients with a singleton childbirth during 1988–2011 were studied. The most recent childbirth of each woman was included. The prepregnancy and the first trimester HbA1c increased from White’s class B to F (p for trend <0.001). Systolic and diastolic blood pressure and pre-eclampsia frequencies increased stepwise from class B to F (p for trends <0.001). Vaginal deliveries decreased and Caesarean sections and deliveries before 37 weeks increased from class B to F (p for trends <0.001). Fetal macrosomia (p for trend = 0.003) decreased and small-for-gestational age infants (p for trend = 0.002) and neonatal intensive care unit admissions (p for trend = 0.001) increased from class B to F. In logistic regression analysis, White’s classes were associated with pre-eclampsia but, with the exception of class R (proliferative retinopathy) and F (nephropathy), not with other adverse outcomes when adjusted for first trimester HbA1c ≥7% (≥53 mmol/mol) and blood pressure ≥140/90 mmHg. First trimester HbA1c ≥7% was associated with pre-eclampsia, preterm delivery, fetal macrosomia and neonatal intensive care unit admission. White’s classification is useful in estimating the risk of pre-eclampsia in early pregnancy independently of suboptimal glycaemic control and hypertension. However, its utility in predicting adverse perinatal outcomes seems limited when information on first trimester HbA1c, blood pressure and diabetic microvascular complications is available. Type 1 diabetes is a chronic, immune-mediated disease in which a complex interplay of environmental and genetic factors affects the age at onset, progression and prognosis [1, 2]. Maternal factors known to influence pregnancy outcomes in type 1 diabetes include glycaemic control and blood pressure levels during pregnancy as well as underlying diabetic vascular complications . In 1949, Priscilla White published a classification system for pregnant women with diabetes according to the age at onset, the duration of diabetes and the presence of diabetic vascular complications . Since then, different modifications of the original White’s classification have been suggested [5, 6]. Furthermore, as the epidemiology of the different types of diabetes and diabetic vascular complications has changed over the past decades, the clinical usefulness of this classification in contemporary diabetic pregnancies has been questioned [6, 7]. The original cohort of White included predominantly type 1 diabetic patients, many of whom were diagnosed with diabetes in their childhood or teenage years and had a long disease duration . Presently, the prevalence of type 1 diabetes in pregnancy is increasing along with type 2 and gestational diabetes [8, 9, 10]. Several studies have evaluated the clinical relevance of White’s classification [7, 11, 12, 13]. However, recent studies mostly comprise patients with type 2 or gestational diabetes and have included limited numbers of parturients with diabetic retinopathy and/or nephropathy [7, 13]. Our objective was to study obstetric and perinatal outcomes, as well as possible risk factors of adverse outcomes, in a large population-based cohort of type 1 diabetic patients stratified by White’s classification. Furthermore, we evaluated whether White’s classification provides predictive information in addition to assessment of first trimester HbA1c and blood pressure. We analysed the obstetric records of a total of 1,094 consecutive type 1 diabetic patients with a singleton childbirth during 1988–2011 at Helsinki University Hospital (HUH). This hospital is the only centre treating pregnant type 1 diabetic patients in the greater Helsinki area, serving a population of about 1.7 million. Only the most recent childbirth of each woman during the study period was included in the analyses. Multiple pregnancies as well as patients with maturity onset diabetes of the young (MODY) were excluded. However, when calculating perinatal mortality rates, the total number of singleton offspring (n = 1,697) was used. The type 1 diabetic patients were categorised based on a slightly modified 1949 White’s classification , omitting class E (calcified pelvic arteries on x-ray) and including class R , as follows: 1) class B: age at onset ≥20 years and diabetes duration <10 years; 2) class C: age at onset 10–19 years or diabetes duration 10–19 years; 3) class D: age at onset <10 years or diabetes duration ≥20 years or background retinopathy; 4) class R: proliferative diabetic retinopathy; and 5) class F: diabetic nephropathy. Only four patients had coronary heart disease (White’s class H); two of these patients were categorised as White’s class D and two patients as White’s class F. One patient had undergone renal transplantation prior to pregnancy (White’s class T), but was excluded due to a twin pregnancy. All patients with diabetic proliferative retinopathy had laser photocoagulation treatment before, during or immediately after pregnancy. Diabetic nephropathy was defined as total protein excretion in urine ≥0.3 g/24 h or dipstick-positive proteinuria in each trimester of pregnancy in the absence of nondiabetic kidney disease. The assessment of microalbuminuria in early pregnancy was not routine practice during the study period and hence complete data on this risk factor was not available. An institutional research permit was obtained for the study protocol. The study was carried out in agreement with the Declaration of Helsinki. Type 1 diabetic patients were referred from primary healthcare centres and local hospitals to HUH as soon as the pregnancy had been diagnosed, usually at 6 to 10 weeks of gestation. The duration of pregnancy was confirmed by sonography at 11–13 weeks of gestation in the majority of pregnancies. During pregnancy, the patients visited the antenatal clinic every 2–4 weeks and more frequently during the last trimester. Maternal blood pressure was measured and urine dipstick analysis was performed at each visit. Blood pressure ≥150/100 mmHg measured repeatedly was considered an indication for antihypertensive medication in all pregnancies including diabetic pregnancies. Fetal weight was estimated by ultrasound after 24 weeks of gestation at each visit. The patients were advised to measure their fasting blood glucose and all preprandial and postprandial values at least twice per week and take at least three to five daily glucose measurements on other days of the week. HbA1c was assessed by the same high-performance liquid chromatography method (Diamat, Bio-Rad Laboratories, Hercules, CA, USA) throughout the study period. The glycaemic targets during pregnancy were fasting blood glucose <5.5 mmol/l, postprandial blood glucose <7.8 mmol/l and an HbA1c level <7% (<53 mmol/mol). Four HbA1c values were used for the purpose of this study: the last value measured within 12 months before pregnancy, the first one in the first trimester, one value (or the mean if more than one was assessed) measured in the second trimester between 18 + 0 to 22 + 0 weeks of gestation, and the last value before delivery. Information on smoking, prepregnancy weight and height, diabetes duration, diabetes complications, past obstetric history, the index pregnancy, labour and delivery were collected from the maternity care cards and hospital records. The second highest systolic and diastolic blood pressure values in each trimester were recorded. Hypertension during pregnancy was defined as systolic blood pressure ≥140 mmHg and/or diastolic blood pressure ≥90 mmHg [15, 16]. Pre-eclampsia was defined as systolic blood pressure ≥140 mmHg and/or diastolic blood pressure ≥90 mmHg occurring after 20 weeks of gestation in a previously normotensive woman, combined with new-onset proteinuria of ≥0.3 g/24 h [15, 16]. Gestational hypertension was defined similarly, but without the presence of proteinuria. Pre-eclampsia in patients with diabetic nephropathy was defined as worsening of hypertension (≥15 mmHg increase in systolic and/or diastolic blood pressure) with a proteinuria level of ≥5 g/24 h after 20 gestational weeks . Data on gestational age at birth, birthweight, Apgar scores, the lowest blood glucose value of the newborn infant and admission to neonatal intensive care unit (NICU) were obtained from hospital records. Umbilical artery samples were analysed at birth for pH using Ciba-Corning (Bayer Diagnostics, Fernwald, Germany/Siemens Healthcare Diagnostics, Tarrytown, NY, USA), Rapidlab 800 (Bayer Siemens) and ABL (Radiometer, Brønshøj, Denmark) pH/blood gas analysers. Birthweights >2.0 SD units (>97.7th percentile) were defined as macrosomia and those <−2.0 SD units (<2.3th percentile) as small-for-gestational age (SGA) using a Finnish standard population . Neonatal hypoglycaemia was defined as blood glucose <2.6 mmol/l in the early neonatal period. Continuous variables were analysed with the Mann–Whitney U test or paired-samples t test, with ANOVA followed by Tukey’s test, or with the Kruskal–Wallis test. The χ 2 and the Fisher’s exact tests were used in the analysis of categorical variables. Trends were tested with linear regression analysis, the Jonckheere–Terpstra trend test or the Mantel–Haenszel linear-by-linear association χ 2 test. Multiple logistic regression analysis was performed to study the association of White’s class, first trimester HbA1c ≥7% (≥53 mmol/mol) and first trimester blood pressure ≥140/90 mmHg with adverse obstetric and perinatal outcomes. A p value of <0.05 was considered statistically significant. The statistical software used was IBM SPSS Statistics 21.0 (IBM, Armonk, NY, USA). Table 1 displays the differences and trends in the demographic and clinical characteristics of the study population by White’s class. Maternal age at delivery was slightly lower in White’s class C than in classes B (p = 0.001) and R (p = 0.004). The age at diagnosis of diabetes did not differ between White’s classes D, R and F. The duration of diabetes was somewhat longer in White’s class R than in classes D (p = 0.01) and F (p = 0.003). The frequency of nulliparity was higher in White’s class F than classes B to R (p = 0.01) and in White’s class R than classes B to D (p = 0.01). The percentage of smokers was similar in White’s classes B to R, but high in class F (p < 0.001 for F vs B to R). Among White’s class D patients, 43% (163/375) had background retinopathy, and among White’s class F patients, 56% (61/108) had proliferative retinopathy. In the total cohort, 73% of patients had been diagnosed with diabetes before the age of 20 years and 74% had diabetes duration of over 10 years. The frequencies of vaginal deliveries decreased and elective Caesarean section deliveries increased from White’s class B to F, with the trend of total Caesarean section rates increasing from class B to F (Table 1). Emergency Caesarean section rates were equally high in all White’s classes without any trend between them. The mean HbA1c values in each White’s class before and during pregnancy are presented in Table 2. The mean (SD) prepregnancy HbA1c level was lowest in class B (p = 0.03 for B vs D, and p < 0.001 for B vs F) and highest in class F patients (p < 0.001 for F vs B, C and D, and p = 0.001 for F vs R). Also the first trimester HbA1c level was lowest in class B patients (p = 0.02, p = 0.01, p = 0.02 and p < 0.001 for B vs C, D, R and F, respectively) and highest in class F patients (p < 0.001 for F vs B, C, D and R). There were no significant differences in the midtrimester and the last HbA1c levels before delivery between White’s classes. The HbA1c values decreased from the prepregnancy to the first trimester level (p = 0.02 for class B, p = 0.001 for class R and p < 0.001 for classes C, D and F) and from the first trimester to the second trimester level (p < 0.001 for all White’s classes). In classes B to R, the last HbA1c values before delivery were slightly higher than those measured in the second trimester (p < 0.001 for classes B, C and D, and p = 0.004 for class R), but the corresponding change was not significant in class F (p = 0.07). The prepregnancy and the first trimester HbA1c levels increased across White’s classes from B to F (p for trend <0.001 for both) but the trends of the mid-pregnancy HbA1c and the last HbA1c values before delivery were not significant from class B to F.
Systolic and diastolic mean blood pressure levels increased stepwise in each trimester of pregnancy from White’s class B to F (Table 3). In addition, the proportion of women with a systolic blood pressure ≥140 mmHg or diastolic blood pressure ≥90 mmHg in different trimesters of pregnancy, as well as those fulfilling the criteria of hypertensive pregnancy complications, increased from class B to F (Table 3). When analysed separately, the trends of pre-eclampsia frequencies from White’s class B to D (p < 0.001) and D to F (p < 0.001) were both significant. Differences and trends in perinatal outcomes across White’s classes are shown in Table 4. The overall trends for gestational age at birth, birthweight, relative birthweight and fetal macrosomia rates decreased and those for deliveries before 37 weeks, SGA infants and NICU admissions increased from White’s class B to F. However, when the trends from White’s class B to D were analysed separately, they were not significant for any of these outcomes. Deliveries before 32 gestational weeks were more frequent in White’s class F (16.7%) compared with the other classes (0.8–4.3%; p < 0.001 for F vs B to R). There were no significant differences between classes regarding perinatal mortality, 1 min Apgar scores <7, frequencies of umbilical artery pH <7.05 or <7.15, and neonatal hypoglycaemia. Perinatal mortality in the total cohort during 1988–2011 was 1.8% (31/1,697) in singleton pregnancies. The associations of White’s class, first trimester HbA1c ≥7% (≥53 mmol/mol) and first trimester hypertension (systolic blood pressure ≥140 mmHg and/or diastolic blood pressure ≥90 mmHg) with major obstetric and perinatal outcomes are shown in Table 5. White’s class predicted pre-eclampsia, with a stepwise increase in odds ratios from White’s class B to F. Also first trimester HbA1c ≥7% and blood pressure ≥140/90 mmHg were associated with pre-eclampsia. White’s classes R and F as well as first trimester HbA1c ≥7% were associated with an increased risk of preterm delivery before 37 weeks. First trimester blood pressure ≥140/90 mmHg was associated with preterm delivery in univariate analysis but after adjustments the association disappeared (Table 5). First trimester HbA1c ≥7% predicted fetal macrosomia whereas White’s class F and first trimester blood pressure ≥140/90 mmHg were associated with a reduced risk of fetal macrosomia. White’s class F and first trimester HbA1c ≥7% were associated with NICU admission. First trimester blood pressure ≥140/90 mmHg predicted NICU admission in univariate analysis but not after adjustments (Table 5). 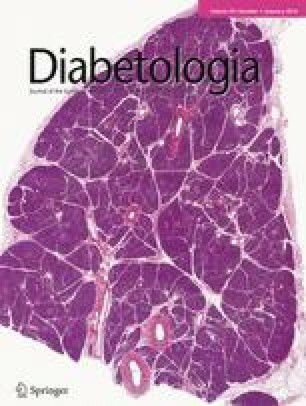 Our study shows that in a large cohort of women with type 1 diabetes, White’s classification predicted pre-eclampsia independently of suboptimal glycaemic control and hypertension, with odds ratios increasing stepwise from White’s class B to F. The frequencies of hypertension, poor glycaemic control in prepregnancy and early pregnancy and most adverse pregnancy outcomes increased from White’s class B to F, and the frequency of fetal macrosomia decreased from White’s class B to F. However, the utility of White’s classification in the prediction of adverse perinatal outcomes appears limited. The presence of proliferative retinopathy (class R) predicted delivery before 37 weeks and the presence of diabetic nephropathy (class F) predicted delivery before 37 weeks, reduced risk of fetal macrosomia and NICU admission of the newborn infant. One strength of the present study is the well-characterised, large, population-based cohort, including only type 1 diabetic patients, with a good representation of all White’s classes and diabetes-specific vascular complications. The authors (KT, VH, MN and MT) have been responsible for the development of follow-up and management protocols for type 1 diabetes parturients during the study period. The limitations include the observational nature of the study as well as certain changes in the obstetric management of type 1 diabetes parturients during the long study period, e.g. changes in clinical policies concerning the mode of delivery . Bennett et al recently showed that adverse obstetric and perinatal outcomes increase across White’s classes in a cohort that included both type 1 (n = 147) and type 2 (n = 321) diabetic patients . However, Bennett et al used the 1980 White’s classification, in which patients with chronic hypertension were categorised into class D. Since hypertension is a well-known risk factor in both nondiabetic  and diabetic pregnancies , it is plausible that adverse perinatal outcomes are more frequent in class D compared with class B and C patients without chronic hypertension. Bennett et al grouped patients with diabetic retinopathy and/or nephropathy or coronary artery disease (n = 53) into one category, and hence differences and trends across White’s classes D, R and F could not be analysed. Furthermore, Bennett et al did not perform logistic regression analyses to evaluate the predictive value of 1980 White’s classification. Cormier et al found that the presence of vascular disease (including chronic hypertension, coronary heart disease, cerebrovascular events, retinopathy and nephropathy) rather than White’s class, predicts poor perinatal outcomes [7, 22]. However, Cormier et al studied mainly type 2 and gestational diabetic patients. Their sample size was 196, of which only seven patients belonged to White’s classes D, R or F, precluding the demonstration of trends across these classes. Moreover, many of the patients studied by Cormier et al were obese, which may predispose to cardiovascular diseases  and pregnancy complications [24, 25] regardless of White’s class. Although age at diabetes diagnosis and diabetes duration were similar in classes D, R and F, SGA rates increased and fetal macrosomia rates decreased from class D to F in our patients. The results are in agreement with previous reports [12, 13]. These trends are probably due to increasing degrees of systemic vascular pathology across White’s classes [26, 27, 28], rather than differences in glycaemic control, as the mid-pregnancy and late pregnancy HbA1c levels from class B to F were comparable in the present study. Maresh et al  showed that an HbA1c level ≥6% (≥42 mmol/mol) at 26 and 34 weeks of gestation predicted large for gestational age infants, and an HbA1c ≥6.5% (≥48 mmol/mol) predicted preterm delivery, pre-eclampsia and adverse neonatal outcomes. The mean HbA1c levels in all White’s classes exceeded these thresholds both in mid-pregnancy and late pregnancy in the present study. These high HbA1c levels probably contributed to the markedly high fetal macrosomia rates recorded in classes D and R despite vascular complications. Neonatal hypoglycaemia was common in all White’s classes in our study, as in that of Diamond et al , possibly due to frequent fetal macrosomia in classes B to R and preterm and SGA infants in classes R and F.
The stepwise increase in blood pressure levels and the frequencies and odds ratios of pre-eclampsia from White’s class B to F may also indicate increasing diabetes-induced vasculopathy, such as endothelial dysfunction, in these patients. Previous studies have reported similar increasing rates of pre-eclampsia with increasing severity of diabetes according to White’s classification [12, 13, 30, 31]. Our results suggest that the association of White’s class with pre-eclampsia is possibly even more pronounced than that of suboptimal glycaemic control and chronic hypertension, which are established risk factors of pre-eclampsia in diabetic pregnancies [21, 31, 32]. However, in logistic regression analysis, White’s classes from B to F were not strong predictors of adverse outcomes other than pre-eclampsia. This finding is in agreement with the trend analyses, which show that blood pressure levels and pre-eclampsia rates increase stepwise from class B to F but adverse perinatal outcomes such as fetal macrosomia and NICU admission are comparable across classes B to D.
It is possible that White’s classification reflects a maternal constitution with increasing predisposition to develop pre-eclampsia, i.e. increasing maternal diabetes-related vascular and metabolic dysfunction across classes from B to F . In classes B and C this vasculopathy and metabolic dysfunction could be related to diabetes duration. In classes D to F, with similar diabetes duration, additional genetic, environmental and other factors contributing to specific diabetic vascular complications could also play a role. Previous studies have shown that in addition to overt diabetic nephropathy (White’s class F), microalbuminuria is a strong independent predictor of pre-eclampsia and preterm birth [34, 35] in women with type 1 diabetes. Thus, further subgrouping of parturients with diabetic kidney involvement based on the degree of early pregnancy albuminuria may improve the prediction of these outcomes. The trends in Caesarean section frequencies are partly the result of clinical preference of elective Caesarean sections in White’s classes D, R and F, in particular before the year 2000. The increasing rates of elective Caesarean sections from class B to F, as well as the similar glycaemic control in mid-pregnancy and late pregnancy between classes, may have affected the lack of trends in perinatal mortality, low Apgar scores and fetal acidosis at birth. An older study by Diamond et al reported that White’s classification predicted perinatal mortality in diabetic pregnancies . Fetal macrosomia in White’s classes B to R and pre-eclampsia and SGA infants in class F may have contributed to the high emergency Caesarean section rates across White’s classes . The low vaginal delivery rates in classes R and F are in agreement with reports from other centres [13, 22, 26, 27]. Our study confirms that White’s classification independently predicts pre-eclampsia in women with type 1 diabetes, and may reflect the degree of maternal diabetes-related vascular and metabolic dysfunction predisposing to pre-eclampsia. However, its value in the prediction of perinatal complications appears limited. Future investigations should explore genetic and other risk factors that possibly link diabetic vascular dysfunction of different degrees of severity and adverse pregnancy outcomes in women with type 1 diabetes. The authors thank H. Puttonen (Department of Obstetrics and Gynaecology, HUH, Helsinki, Finland) for her invaluable assistance in retrieving information from patient records. National Graduate School of Clinical Investigation, Viipuri Tuberculosis Foundation, Maud Kuistila Memorial Foundation, Finnish Medical Foundation, Diabetes Research Foundation and Research Foundation for Obstetrics and Gynaecology have supported this work as part of the PhD studies of MMK. MMK participated in the study design, acquisition of data and data entry, prepared the database and carried out the statistical analyses. In addition, she prepared the first draft, and edited and finalised the manuscript. HL, VH, MT and MN participated in the interpretation of data, contributed to discussions and critically reviewed drafts of the manuscript. VH provided expert advice in biostatistics. KT initiated and planned the study, participated in the acquisition of data and drafted and critically reviewed, commented on and edited various versions of the manuscript. MK and KT are the guarantors of this work. All authors read and approved the final version of the manuscript.